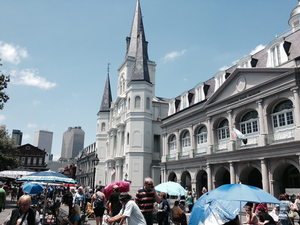 My first trip to New Orleans took me to the center of debauchery, to many restaurants, to a winning night at the casino and on a search for the celebrity side of the town. But at the heart of it, the sights are what really invigorated me. The passion folks had for the town, for having a good time and just creating a chill atmosphere, I really got caught up in it. 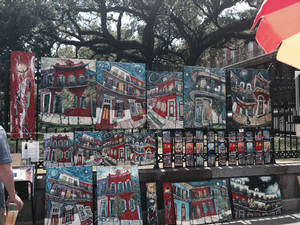 And the day before I left, I was lucky enough to get the perfect weather day to do some exploring in the iconic French Quarter. If you're lucky enough to have visited the piece of Americana, many of the shots will hopefully bring back good memories. And if you haven't gone yet, I hope you come away ready to book a trip. 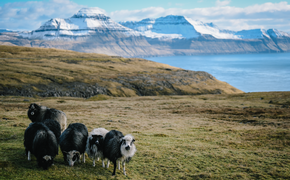 I know I'm already dreaming of my next visit. 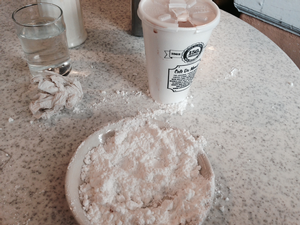 My day started at the world-famous Cafe du Monde with a full plate of beignets and a cafe au lait. Some might see this plate as empty. I see it as a delicious promise of a return trip. 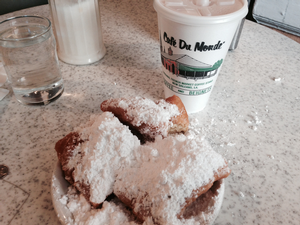 If you go, don't wear dark clothes, unless you want to be wiping powdered sugar away the rest of the day. Across the street on the corner of Decatur and St. Ann, a street performer had the crowd captivated with his gyrations to classic beats and funny TV show themes. It was already 85 degrees at this point, and I didn't see any hidden air conditioning in that suit. 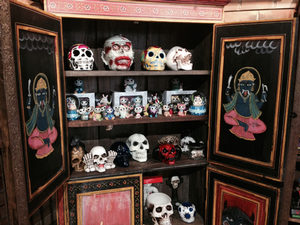 Next, I checked out one of the myriad of voodoo-related gift shops in town. The ancient religion dates back to the slave trade in town and has become one of many of the iconic symbols of the town. 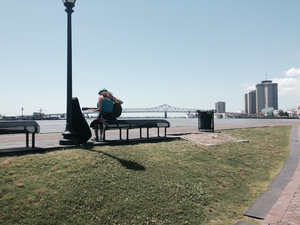 Before I headed inland, I took a stroll along the Riverwalk, a spot where many of the town's musicians like to hone their craft before hitting the clubs at night. 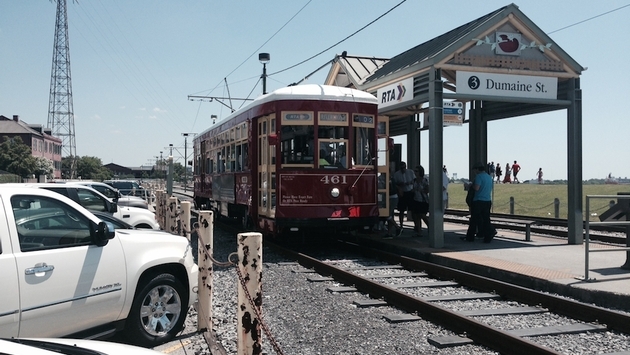 And if you don't take a streetcar in New Orleans, you're not living right. 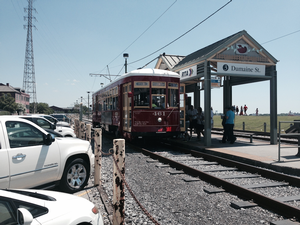 I found these streetcars to feel even more authentic to the vibe of the city than ones I rode in San Francisco. 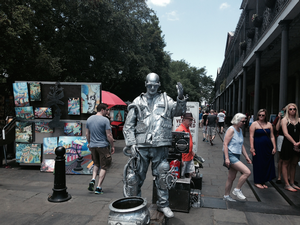 Next I headed to Jackson Square, which on this gorgeous day, was filled with tarot card readers, musicians and art as far as the eye could see. I wish I'd prepared better. They'll ship it for you, but it ain't cheap. Most of these ran from $75 to $300. 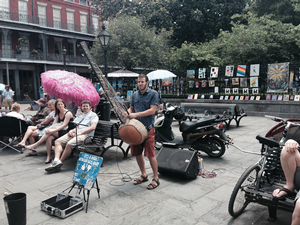 Among the many musicians carving out space in Jackson Square was this guy, playing a homemade harp contraption that delivered surprisingly pleasant tunes. 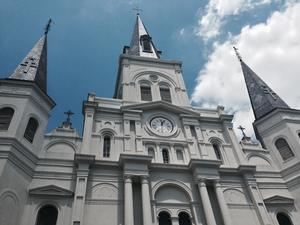 Smack dab in the middle of the square is yet another magnificent piece of New Orleans history and architecture, St. Louis Cathedral. 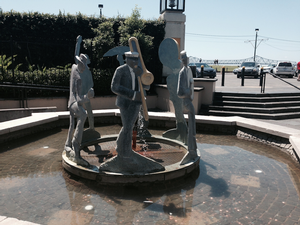 Before I began my culinary tour, I headed back toward the river for a bit more sightseeing, where I happened upon one of many artistic tributes to the musical backbone of the city. 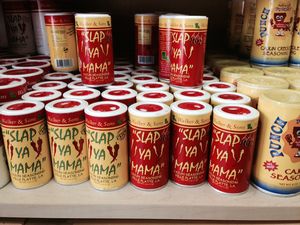 Last but not least, I sampled one of the endless Cajun and Creole spices that make the flacors of New Orleans so unique. The label says it all here, and the kick truly delivers on the over-the-top name.